I recently made a cluster granola and loved it...am now hooked on granola! Yours looks great..can't wait to give it a try soon! 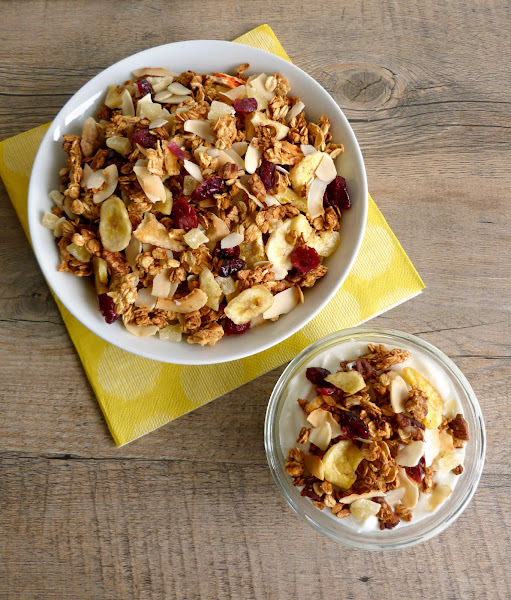 I love granola that has lots of clusters too...it's easy to get hooked on! Thanks! 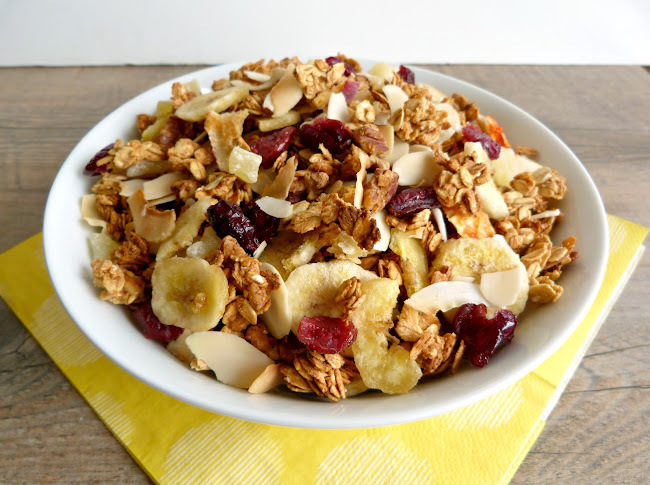 If you're a fan of coconut and pineapple like me then you would definitely like this granola! 4 different coconut products...right up my alley! I like how you did this without any added oil. I am in the midst of creating an oil free granola too! I saw "tropical" and automatically bookmarked it! Yum! Haha...that sounds like something I would do too! Glad you like the recipe! Thanks Heidi! 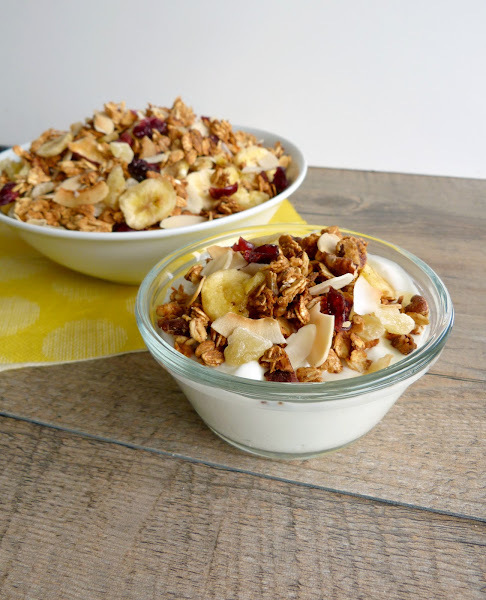 Sometimes I don't like to put chewy dried fruit in my yogurt, but the dried pineapple actually worked well mixed with all the other ingredients, even in my yogurt! Thanks! I got the idea of adding coconut butter from another recipe - that's the first time I've tried making it myself. My Mom was also kind to share a bit of the granola after I gave it to her! Thanks Courtney! I have so many granola recipes bookmarked, and a lot of them do seem to have those warm spices and fall ingredients...I love those too, but it's nice to change things up a bit!